BOLIVAR, Mo. - The Bolivar Police Department responded Sunday to an overturned WWI replica bi-plane at the Bolivar Municipal Airport. The plane was overturned on the east side of the runway, according to a Bolivar Police Department press release. The pilot, a 67-year-old man from St. Charles was temporarily trapped inside the aircraft, but was uninjured, according to the release. The pilot told police the tail of the aircraft slid out upon landing, causing the plane to veer off the runway and into a ditch where it overturned. Bolivar Police, Bolivar City Fire Department, CMH EMS, Missouri State Highway Patrol and Central Polk Fire and Rescue all responded to the scene, according to the release. 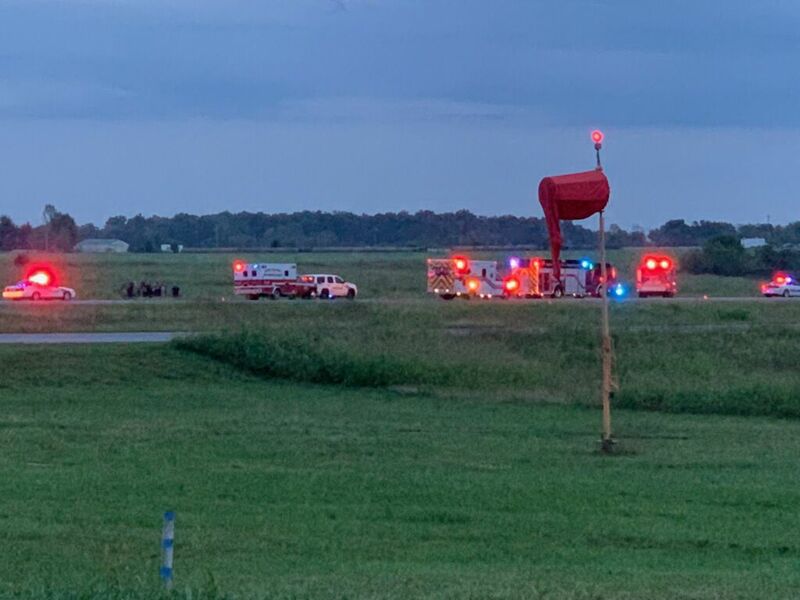 Emergency crews responded to Bolivar Municipal Airport when an "experimental" airplane crashed near a runway at around 6:30 p.m. Sunday, Oct. 7. 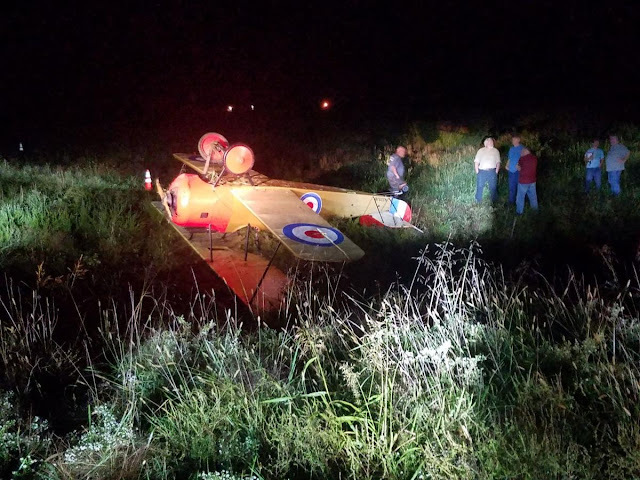 According to a Bolivar Police Department news release, responders "found a replica World War I biplane overturned on the east side of the runway." The pilot, 67-year-old James Bearden of St. Charles, was initially trapped inside the aircraft but was not injured, the release said. "The pilot stated that the tail of the aircraft began to slide out upon landing causing the plane to veer off of the runway and into a ditch where it overturned," the release said. Several agencies, including BPD, Bolivar City Fire Department, Citizens Memorial Hospital Emergency Services, Missouri State Highway Patrol and Central Polk Fire and Rescue, responded to the scene. Emergency crews responded to Bolivar Municipal Airport Sunday evening for an airplane crash near a runway. Crews were notified of a transportation incident at the airport, located at 4460 Airport Road, at around 6:30 p.m. Sunday, Oct. 7. Bolivar Police Department Lt. Roger Barron called the aircraft an "experimental plane." Barron confirms one pilot was involved in the crash. He was not injured. A reporter on the scene said crews were still working in the area of the crash as of 7:10 p.m.